Agave Underground Tequila (AUT), a California-based tequila producer, has signed a deal with Glazer’s of Canada to expand its spirits distribution internationally. Established in 2009, AUT mainly produces three tequilas – Silver, Reposado and Anejo. 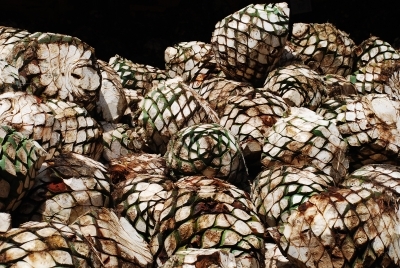 Made from agave plants grown in Jalisco, Mexico, each of the tequila offers different flavour profile. The Silver tequila is non-aged and offers fruit-forward aroma and taste of agave plant with smooth finish. Reposado and Anejo are aged in Jack Daniels American Oak barrels for nine and 18 months, respectively. The light gold coloured Reposado offers candy-like floral aroma, tastes of caramel, culinary spiced, sweet agave flavour; and smooth finish with hints of oak, whereas the deep gold coloured Anejo offers buttery smell, taste of cinnamon, butterscotch and vanilla, and smooth finish with vanilla and bourbon feel. AUT sales executive Fran Vivenzio said that Glazer’s is one of the largest beverage distributors in the world. "We are eager to expand the brand throughout the Canadian Provinces with their knowledge and guidance about the beverage industry," Vivenzio added. "Agave Underground Tequila is confident Glazer’s of Canada, LLC will help grow the interest of our brand to consumers. The team at Agave Underground Tequila is quite pleased about the partnership and the penetration of our tequila in the Canadian market." In addition to Canada, the company’s tequilas are available in California, Arizona, Nevada, New Mexico, Minnesota, Michigan, Colorado, Indiana, New Jersey, Tennessee and Georgia. Image: Agave plants used for producing tequila. Photo courtesy of Juan Gnecco / FreeDigitalPhotos.net.